Another month, and another great Toppbox. 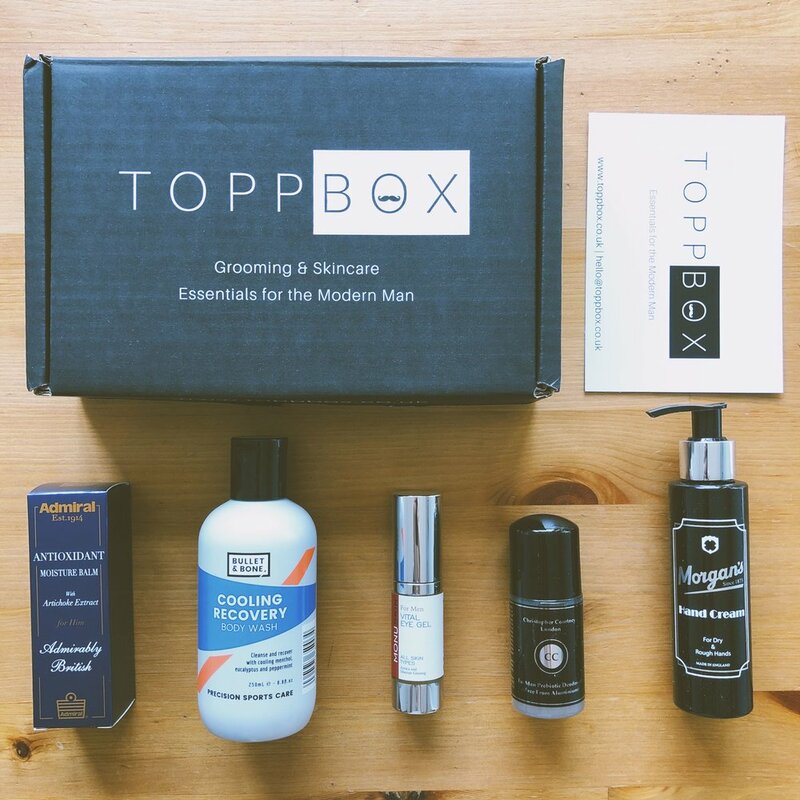 If you have read this blog before you know that I am a huge fan of ToppBox: It’s a monthly grooming box exclusively designed for men with a great selection of skincare products. Time to see what’s inside the Toppbox February 2019. Sit down, relax and enjoy the review. Monuskin for Men is another British brand that I have discovered thanks to Toppbox. I am a big fan of their facial scrub, so I was pleased to find this Eye Gel in Toppbox February 2019. I’ve tried a lot of Eye Gels/Creams in the past and my favourites are always the ones that feel thicker and not too watery. The texture of this Eye Gel is not too thin and not too thick either. It is very nice to apply and does a nice job. Hand Cream by Morgan’s Pomade. A good hand cream is a must have in your skincare routine (read my hand skincare routine post here). I know that for a lot of men it is not very important, but trust me, you have to take care of your hands! This hand cream has the same sophisticated and masculine fragrance you can find in other Morgan’s Pomade products. It is really nice to use on a daily basis and your hands will feel nice and soft. This is my favourite product of this month. Bullet and Bone is a brand specialised in products to use after sport. This Shower Gel is extremely fresh with cooling menthol, Eucalyptus and Peppermint. I also use it in the morning and it wakes me up immediately! The fragrance is amazing. Biggest and best surprise of this month! Christopher Courtney is a brand that comes back regularly in Toppbox. Each product has a premium feeling and this one is no exception. This Deodorant is aluminium and alcohol free which is great for my skin. The fragrance is fresh and masculine too. Thanks for reading see you soon!